If you plan on visiting one of the seven Canadian NHL cities this season, here are a few hotel accommodation options we recommend checking out after starting the 2017-18 season on a Canada-wide roadtrip. The majority of these venues are located within a close proximity of the city's NHL arena. 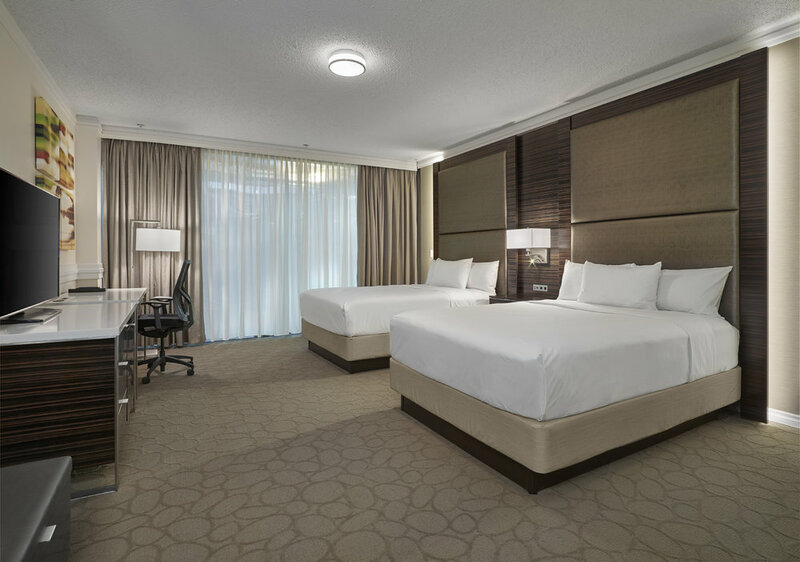 Located in downtown Calgary, walking distance from plenty of dining options, such as The Keg, JOEY, Cactus Club Cafe and Hy's Steakhouse, The Westin Calgary offers great accommodations and a helpful staff. Only 2.5KM (about a 5-7 minute drive) from the Scotiabank Saddledome, getting to and from a Flames game is pretty easy. This hotel is also located close to much of the nightlife action, which is never a bad thing. Literally walking distance to Rogers Place, home of the Oilers, the Delta located at Edmonton Centre Suites has been freshly renovated and boasts great accommodations while in town. Pretty much situated in the heart of the Ice District, there are plenty of bars, restaurants and nightlife to fill your schedule. Our trip to Montreal took us just 20 minutes from downtown, but ideal accommodations for young, traveling hockey teams/leagues. The Courtyard Montreal West Island is right off of the Trans Canada Highway, making it easy to come and go to a league game, a Habs game downtown or nearby for a bite to eat in towns like Kirkland or Dollard-des-Ormeaux. Smack in the heart of downtown Toronto, the Delta Toronto is an excellent option at any time of year. With the Air Canada Centre on one side and the Rogers Centre on the other -- and the CN Tower across the street -- there aren't too many hotels that can offer this setting. This property also has a solid whiskey bar and a good restaurant if you don't feel like venturing too far from your room. An excellent choice if you happen to find your way to the beautiful city of Vancouver, the Westin Grand Vancouver is in a prime location for exploring the city. For your sports fix, this hotel is walking distance to Rogers Arena and BC Place Stadium. For great food, you're just a few blocks from Yaletown -- and we recommend visiting spots like West Oak, Blue Water Cafe and The Greek by Anatoli. This stylish boutique property is just a quick drive from Bell MTS Place, home of the Jets, and Winnipeg's downtown core. Its river view accommodations make you feel right at home, and its proximity to the heart of the city is an easy and fast drive away.